So before I get to anything else, I gotta tell you about Macbar. It’s not somewhere you take your Apple computer for tech support, it’s an awesome restaurant. Basically all they do is make mash-up variations of Macaroni & Cheese. 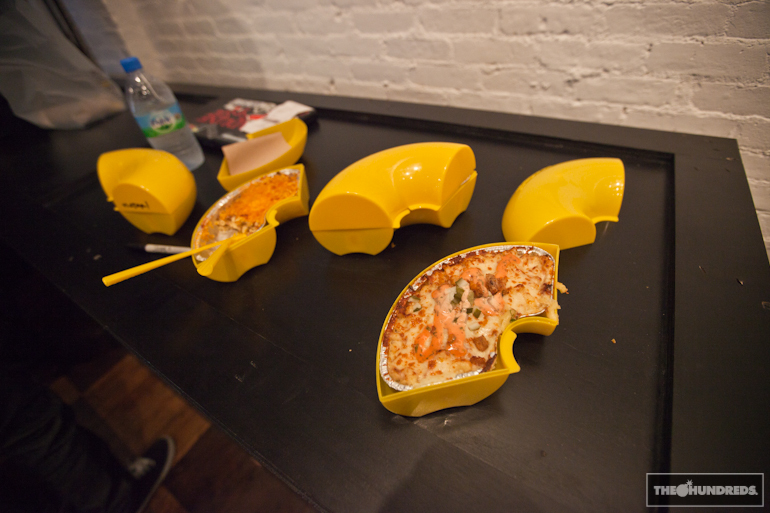 And when we ordered it for lunch at THNY, they delivered each meal in one of these custom macaroni-shaped canisters. The one I’m eating is the “Reuben,” which is essentially a Reuben sandwich with the braised corn beef and sauerkraut, baked right into the mac n’ cheese. There’s a “Mac Lobsta,” a “Cheeseburger Mac,” and even a “Mac Quack” with duck in it. If you’re in NYC, it’s on Prince. 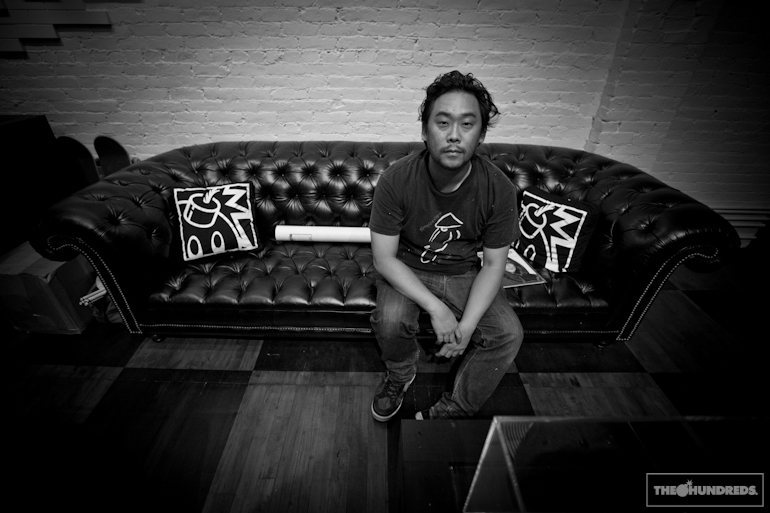 Harry Kim’s documentary on Dave Choe, “Dirty Hands,” is playing in New York Sunday at 3pm at the Anthology Film Archives. Dave’s been here for a week now and is thoroughly enjoying himself with renegade midnight bike rides around the city and Go-Kart racing in New Jersey and visiting the biggest Norman Rockwell collection in Massachusetts and whatever the hell he wants all the time because he can. Someway, somehow, Amanda Blank, Cesar, Messy and I all ended up at a Mexican food spot for lunch the other day. In New York. As Cesar was putting it, that’d be the equivalent to finding a good Puerto Rican meal in L.A. Or like finding good sushi in Nebraska. Or a copy of Ralph Ellison’s Invisible Man in Snooki’s purse. Mexican food is a delicacy here in New York, so what amounts to a simple $3 taco plate in L.A. is a $13 gourmet meal here. It really made me miss home. It also made me missCholula. I had the most insane travel experiences this week. Things kicked off with me andStephanie being stranded in Allentown, Pennsylvania while en route to New York. It was either that or die in a lightning storm, which according to my Pennsylvanian Twitter followers, is equally excruciatingly painful. Thankfully we made it out alive and then I forgot her at the airport, she almost cost me $15,000, and then 2 tornados hit New York, but that’s a story for a different day. 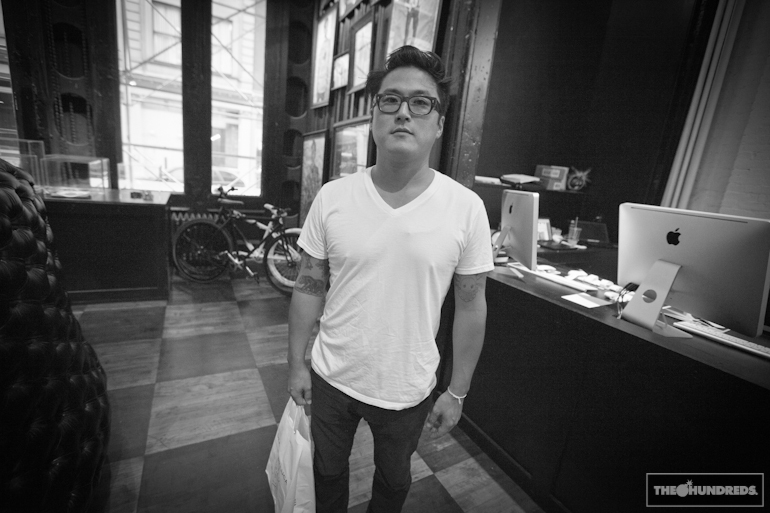 It was a nice surprise to see my old friend Kevin Ito in the shop. He’s an awesome photographer and just welcomed a nephew into the world. He has plenty to be proud about. Seama has plenty to be proud about also. It’s called her hot girl friends. They run the ill hair/make-up steez for all of Hollywood’s A-list clientele. It’s Fashion Week in New York, so they’re like the A-Team out here. Joe Hahn and the rest of the Linkin Park crew have been milling about New York this week to celebrate the release of their new album, A Thousand Suns. They flew in right after that awesome VMAs performance. You know, the one that didn’t have dancing Bieber or Kanye rapping about douchebags.